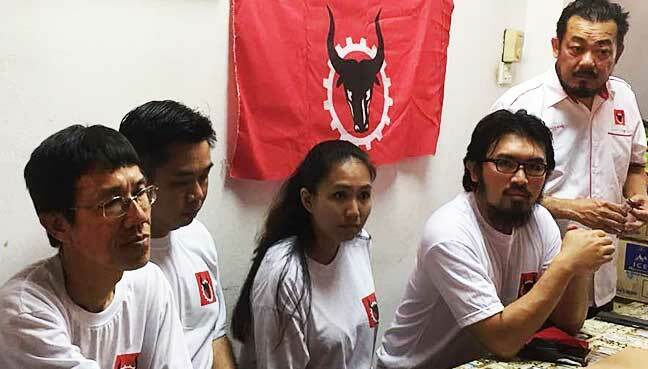 The socialist party is targetting to contest 30 state seats, as it attempts to make a comeback after a long political hiatus, and calls on Penangites to support them. Penang Parti Rakyat Malaysia (PRM) leaders and members ready to go to battle in GE14. GEORGE TOWN: Parti Rakyat Malaysia (PRM) has set its sights on 30 out of the 40 state seats in Penang in the 14th general election (GE14), as it attempts to make a comeback after a long political hiatus. Its state chairman Tang Hiang Lye, in announcing this today, said the party was in the midst of identifying potential candidates to contest the seats on the island, with the party looking for fresh faces. Candidates to contest the state seats on the mainland have already been identified, he said. Tang said the party has decided to make a comeback upon seeing the present Penang government “not doing much to uplift the living standards of Penangites”, after the previous Barisan Nasional government was toppled in the 12th general election in 2008. Penang Parti Rakyat Malaysia (PRM) chairman Tang Hiang Lye (right) speaking in a press conference today. With him are GE14 candidates (from left) Chua Cheong Wee, Yeoh Seng Huat, Lai Yean Nee, and Chew Seng Tung. “Issues of cronyism and corruption, as well as serious abuse of power, which were prevalent in BN’s time, are still happening. These have stimulated us to come back. “If we get the power to form the state government, we will formulate policies that are people-centric. We will also fix the mistakes of the present state government’s policies,” he said, adding that the party will not be cooperating with any other pacts or parties for the coming polls. Tang said this in a press conference held at a coffeeshop here today. Several PRM flags, bearing the image of a bull, were hung outside the coffeeshop. Tang also announced five candidates who would be contesting Penang state seats under the PRM banner in GE14, namely former National Union of Journalists (NUJ) leader Chua Cheong Wee, former journalist Chew Seng Tung, Yeoh Cheng Huat, Lai Yean Nee and Tan Kim Hock. The five are among the new members who just joined the PRM. Tang expressed hope that their entry into the PRM will help draw attention to the party, as well as attract youngsters to support them. Tang also announced that Chua will be heading the new Padang Kota PRM branch, together with Lai, while Chew has been tasked to set up the Pengkalan Kota branch. It was previously reported that Chua will be taking on DAP incumbent Chow Kon Yeow in Padang Kota, while Chew is expected to contest the Pengkalan Kota state seat, currently held by Lau Keng Ee. Chew called on voters who were ready to spoil their votes (in reference to the #UndiRosak movement), to vote for PRM. “You do not have to force yourself to vote for someone you don’t want to. If you want, if you are ready to spoil your vote, I suggest you vote PRM. “Send us to the Penang state assembly, so we can be the state government, and create a better future for Penang,” he said. Lai shared his view, calling on Penangites to give them a chance as the third force, for a better future. Apart from the state seats, Tang said the party would also be contesting in all 13 parliamentary seats in the Penang. “Candidates for seven parliamentary seats have already been decided, while the rest are still being decided,” he said. PRM, as part of the larger Socialist Front alliance, won many wards in the 1961 Penang local elections, garnering 14 out of 15 under the then-George Town City Council. However, the party which is best remembered for its bull’s head logo, has been on political hiatus for a long time. Its last attempt in contesting was an obscure one, where it fielded Azman Shah Othman in the 2015 Permatang Pauh by-election. 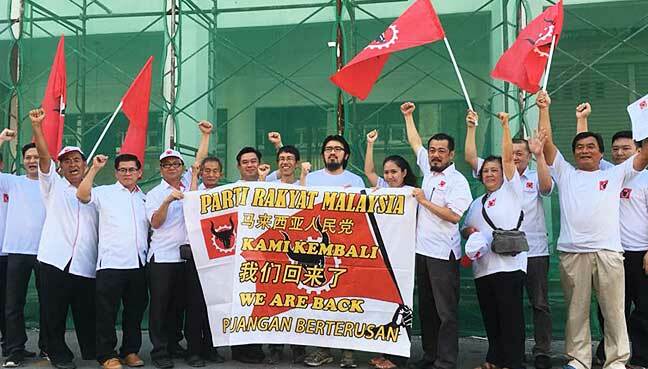 Two weeks ago, former DAP assemblywoman Jenice Lee announced that she would be contesting under the PRM banner in the Teratai state seat and Pandan parliamentary seat, which are both in Selangor.